Encounters is a two part performance installation which explores the performer-audience boundary in a non-theatrical setting. 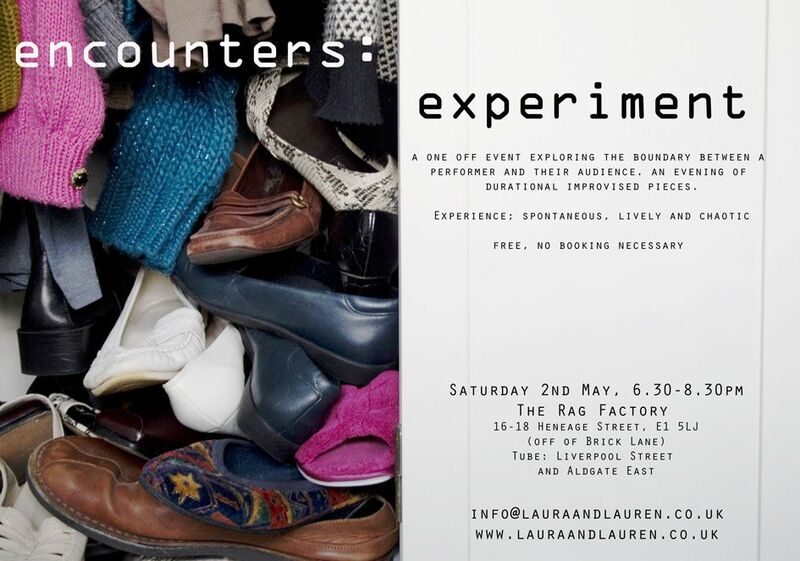 Encounters: Experiment is a durational work concerned with exploring task-based improvisation amongst a group of performers from a range of disciplines. Experiment aims to question the authority of the artists and the performers, in a space where the performers play a large part in the decision-making process and the audience can cross the boundary (sometimes unknowingly) to become integral parts to the work. These performances will be spontaneous and range from the subtle to the outrageous.